North America, Japan, this doesn't apply to you. But Europe? Pay attention. 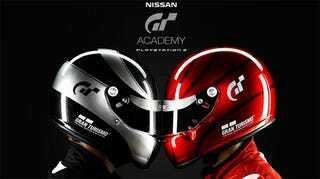 Sony have provided the first real details on their Gran Turismo/Nissan academy program. Which, to recap, is a GT5: Prologue competition, where the fastest online racers are not only given the chance to race a real 350Z around the Eiger Nordwand, but the fastest drivers from that are given a shot at racing in a 24-hour race in Dubai next year. For real. The competition will kick off on June 2, and will run for seven weeks. So long as you register your PSN ID and can log a time during those seven weeks, you'll be in with a shot.